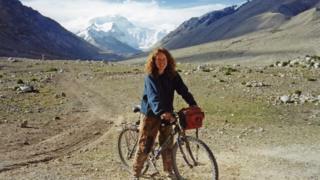 A charity set up in memory of a Scots aid worker spent £140,000 in the last 12 months on projects supporting women and children in Afghanistan. Linda Norgrove, from Lewis, had been working in the country when she was seized by rebels in September 2010. She was killed during a rescue attempt by US special forces the following month. The Linda Norgrove Foundation has reported helping to cover the costs of children's surgery and education. The foundation was set up by 36-year-old Ms Norgrove's parents John and Lorna, who still live on the Isle of Lewis. In its latest annual report, the charity reported that it covered the full cost of 10 surgical procedures for children, including four heart operations. Funds also went towards libraries, to projects helping women escape abuse and also small businesses run by women, including one that involves rearing silk worms and weaving the silk. The charities sources of funding include a bothy the Norgrove's built on cliffs near their home 30 years ago. Since recently opening it up to visitors, donations given by those using the bothy has raised more than £1,000 for the foundation. The bothy at Mangersta was recently featured in a bothy guidebook in which it was listed as one of Scotland's top five "romantic hideaways".